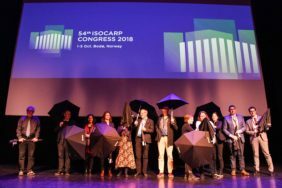 ISOCARP would like to thank all congress participants for contributing to a very successful 54th ISOCARP congress. Big thanks go to the congress team, the keynote speakers and the many presenters for their inspiring ideas and talks. You will soon find the congress results, the presentations, videos and pictures at this place. For Keynote Speeches and presentations click here.